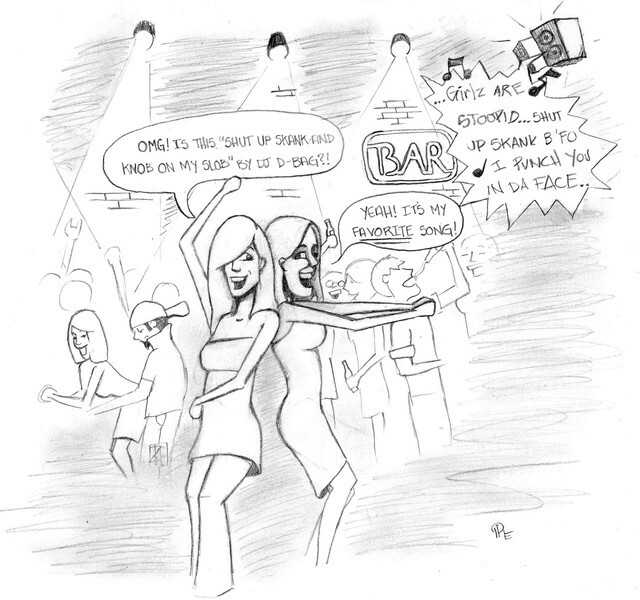 Alive and Young: No More High School Dances! But Mom, Why Can't I Bump and Grind? Leave it to them Baptist to wanna get rid of anything remotely fun, but she does make an interesting point about dancing .... uhh I mean grinding .... oh wait, let me just call it what it is -- rubbing up and down another person's body part for arousal. I agree grinding at a high school dance is sketchy. How about a different solution. Instead of just getting rid of all high school dances (because all the awkward boys and girls would hate you if you got rid of dances) how about monitoring the music selection a little more closely. Maybe have a sock hop. Teach the students to do the kind of dancing that requires more than two brain cells. 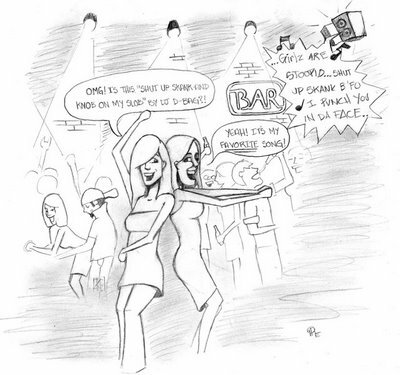 Image was drawn by Alice Wack from an issue of the LSU Reveille. Please don't ask which issue. I don't remember. Oh, that wasn't by me. It was by Pike Barkerding, the other cartoonist who worked at the same time I was there when that cartoon was printed. I only drew MWF and he did Tuesdays and Thursdays.